Christianity reached England and christianization of the pagan English tribes began. In the 7th century monasteries were established where a written literature began. Earlier to this whatever existed as literature was oral. Alfred the Great who reigned over England from 871 to 901 encouraged education and supervised the compilation of The Anglo Saxon Chronicle. Beowulf, the earliest epic of English literature, was written in this period. "The Wanderer", " The Seafarer", "The Husband's Message", "The Wife's Lament" are among the remarkable poems of the age. The Anglo-Saxon Chronicle written in this age is the earliest prose of English literature. Most of the writers of this age are unknown except Caedmon who is held to be the first known poet of English and Bede, the first historian. Though Christianity is traceable, paganism dominates the literary spirit of the time. Heroic deeds, love of sea adventure, intense love of glory and savagery are the main features of the literature of this period. The English Parliament was established in 1295. Crusade, the religious battle between Muslims and Christians, took place in between 11th and 13th century. Magna Charta, the great charter which limited the power of the monarchs was passed on 15th June,1215. In 1362 English was declared to be the language of law and courts. The Feudal System which was very strong, broke up after the Black Death, a plague in 1348-49. In the fourteenth century Reformation of English Church began under the leadership of John Wyclif. William Caxton established printing press in 1476. Renaissance began with the fall of the then Constantinople in 1453. Mohamad II, the Sultan of the Ottoman Turks and a crusader, defeated the Christians in 1453 and occupied Constantinople, the then capital of the Byzantine empire and the centre of classical learning. After the defeat the Christian scholars fled to different parts of Europe where they spread their knowledge. Thus ancient learning started reviving. This revival of the classical knowledge is called Renaissance. Its features are: curiosity about more knowledge, desire for unlimited wealth and power, love of adventures, own country, beauty, humanism and the past. Columbus discovered America in 1492 and Vasco da Gama reached India in 1498. During this period Copernicus (1473-1543) proved that the sun is the centre of all planets. The English language reached a standard towards the end of this period. Prose got a strong foundation though it remained immature. Poetry served as the main genre. Drama began in the from of "Mystery Play, " "Morality Play" and "Interlude". The writers of the age were greatly influenced by Dante, Petrarch and Boccaccio. Love, chivalry and religion are the three main literary ideals of this period. The spirit of romance pervades every writing of the time. With the accession of Queen Elizabeth I, dynastic problems and political chaos come to an end. Stability was attained and national prosperity began. Elizabeth I introduced Anglicanism to settle religious problems. It has a long history. In the 16th century Martin Luther of Germany and Zwingly and Calvin of Switzerland protested against the autocracy of the then Pope. Those who supported them were called Protestants and those who still supported the Pope were called the Papist or Catholics. Henry VIII who was the king of England during those years supported Protestantism for personal advantage. He wanted to divorce his first wife, Catherine and marry Anne Boleyn, his fiancee, but the pole did not approve it. So he denied Pope's authority and introduced Protestantism to England. Some of the people accepted King's religious authority but the rest followed the Pope's rule. This caused a bloody civil war which continued till Elizabeth came to power in 1558. She understood the problem and introduced Anglicanism, England's own church. This religious settlement brought stability and prosperity to England in the second half of the 16th century. Geographical and astronomical discoveries of the previous decades brought unlimited fortune during this period. Renaissance that had started earlier was now very strongly felt in England. Erasmus reached England, and with Colet, taught humanism and other ideals of renaissance. Thomas More (1478-1535):Utopia (or kingdom of Nowhere). The book was originally written in Latin in 1516. Nicholas Udall:Ralph Roister Doister (1553), the fit English comedy. Norton and Sackville (1536-1608):Gorboduc (1562), the first English tragedy. Thomas Kyd (1557-1595), a university wit: * The Spanish Tragedy (1585). Sir Philip Sidney (1554-86)An Apologize for Poetrie (1595), a critical treatise.Arcadia (1590), book that bears the embryo of English nobel.
.* University wits are a group of young dramatists who wrote and performed in London towards the end of the 16th century. They are called university wits because they were the witty students of Cambridge or Oxford. Marlowe, Kyd, Nashe, Greene, Lyly and Peele were the members of this group. They upheld the classical ideals, and ridiculed the crudeness of the new English plays. Christophe Marlowe (1564-93), a university wit:Tamburlaine the Great (1587)Dr.Faustus (1592)The Jew of Malta (1589); Edward II (1591). John Lyly (1554-1606), a university wit:Campaspe (1584)Sapho and Phao(1584)Midas (1589)Euphues (1579), a book that bears the embryo of English novel. The Elizabethan Age is regarded as the Golden Age in the history of English literature. The renaissance brought ancient Greek and Roman wisdom to England. The religious Reformation taught religious tolerance and secularism. The geographical and astronomical explorations brought affluence and power. In other words, the social life of England was marked by a strong national spirit, humanism, religious broadmindedness, scientific curiosity, social content, intellectual progress and unlimited enthusiasm. All these aspects of the social life are reflected in the writings of this period. The literature of this age shows a quest for "the remote,the wonderful and the beautiful". It is an age of original romanticism. This romanticism revived again, after a long time in 1798 in the poetry of Wordsworth, Coleridge, Shelley, Keats and Byron. Religious conflict that subsided in the Elizabethan age, revived in this period. Protestants were divided into three sects: (1) Anglicans, (2) Presbyterians and (3) Puritans. Scotland was brought under the rule of the king of England. Though Shakespeare had written his serious plays in the Jacobean Age, he is called an Elizabethan dramatist and never the Jacobean.The period (1590-1616) in which he wrote is also called Shakespearean Ago. Some new essays were added to the new edition of his Essays (1625). (d) King James I, known as the Wisest Fool, instituted the translation of the Bible into English in 1611. Its language became the standard of English prose. (g) John Donne (1572-1632) and George Herbert (1593-1633), the metaphysical poets, started writing in this period.Literary Features of the period:Drama still remained the main mode of expression. The dramatists practised classical rules of drama. Elizabethan idealization of love and romance almost died out. Poetry took a new and startling turn. There was a long civil war between " Cavaliers" and "Roundheads". Those who supported the king were called " Cavaliers" Most of them were lords and their dependants. "Roundheads" were those who supported Parliament. Most of them were puritans. A group of lyric poets associated with the "Cavaliers" are called "Cavalier poets". Richard Lovelace, Sir John Suckling, Robert Herrick and Thomas Carew were the members of this group. These poets are also called Sons of Ben as they were the admirers and followers of Ben Jonson. Their lyrics are trivial, gay, witty and often licentious. In 1642 English theatre was officially closed. On 14 June 1643 Licensing Order for printing was passed. The Cavaliers were defeated, the king was caught and publicly beheaded on 30th January, 1649. His death marked the dissolution of monarchy for the time being. English colonies were further expanded. Oliver Cromwell emerged as a Puritan leader and came to power in 1649. (a) Donne and Herbert continued to write their metaphysical poetry. Henry Vaughan (1621-95) and Andrew Marvell (1621-1678) also wrote metaphysical poetry. This age is not an age of drama. Drama collapsed because of the civil war and puritanical attack. Sermons, pamphlets, history and philosophy were written in prose. Metaphysical poetry was the main literary product of the age. This period, like the earlier two periods, belonged to the Puritan Age. This is the period when there was no monarch in England. After the death of Charles I, Oliver Cromwell, the puritan leader, came to power. He died in 1658 when his son Richard Cromwell became the ruler of England. He ruled England till 1660. In this period puritanism became gradually unpopular. The English people realized that monarchy was essential for them. (a) John Milton who was still alive had not written any thing important in this period. (d)Vaughan (1621-95) and Marvell (1621-78) continued.The influence of renaissance and puritanism died out by the end of this period. The Elizabethan romanticism also came to a close by this time. The writers of this age lacked originality and followed ancient Greek and Roman tradition. Human beings are given most importance. The literary ideal of the age is "art for humanity's sake", not " art for art's sake". General rather than the individual qualities of human beings are given more importance. A general reaction against puritanical restraints became very strong. Two political parties-the Whig and the Tory-were formed. The Whigs were against the king and for the Protestants. The Tories supported the king and the Catholics. In 1690 there was Jacobite Rising. The Catholics of Ireland who were led by James-II, fought against William's soldiers and were defeated. In 1662 the Royal Society was founded to promote scientific research. Sir Isaac Newton was a member of it. In 1695 the press was made free. Everyone was given liberty to express his or her views. The Bill of Rights was adopted in 1689. It restricted monarch's power and enhanced parliament's power. Milton wrote his great epics in this period. He remained almost unaffected by the liberal ideals of the Restoration period. Samuel Butler (1612-80): Hudibras (1663), a satire in verse. Pilgrim's Progress (1678), the famous allegory in prose. The Holy War (1682), an allegory in prose. Influenced by the French writers of the time and in reaction against the puritanical suppression of the earlier ages, in this age there was an absolute departure from the literary tradition of the Renaissance Period (1500-1660). This age encouraged literary freedom and wild pleasures of this world. The liberty it allowed often turned indecent. Realistic drama was predominant. Writers widely used heroic couplet instead of blank verse. Mechanical perfection was the chief concern of the poets. The writers were more artificial rather than original. The age experienced a transition from renaissance ideals to neoclassical ideals. The main spirit of the age was satiric. Scotland was annexed to England. The first cabinet of England was formed. The first English daily newspaper, The Daily Courant, appeared in London in 1702. Number of coffee houses, pubs and clubs was multiplied and people learned the art of living together. 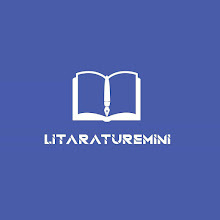 A number of literary associations started. Of them the most famous was The Scriblerus Club. The members of this club were Alexander Pope, John Gay, John Arbuthnot, Jonathan Swift and Thomas Parnell. The other clubs of this period were Kit-Cat Club and The Spectator Club. Samuel Richardson (1689-1761) :Pamela or Virtue Rewarded (1740), the first modern novel. Henry Fielding (1707-54) :Joseph Andrews (1742), a novel. The ideals of neoclassicism which originated in the previous age became obvious in this period.Most of the writings of this age were satires in prose. The modern novel began during this time. A kind of new morality became the guiding force of the age. The literature of the period suggests a political awareness of the people. This age is called The Age of Sensibility because in this age a sense that prefers instinct, feeling and "original genius" to neoclassical balance, restraint and perfection became dominant. It is also called The Age of Johnson after the nay of Dr.Samuel Johnson who dominated this period. This age started after Pope's death and ended with the first edition of Lyrical Ballads in 1798. The important events of this period were. James Watt invented steam engine in 1769. In 1733 John Kay inverted the flying shuttle. In 1764 Hargreaves invented the spinning Jonny. All these contributed to the Industrial Revolution. There was revolution in agricultural production. The British founded its empire in India in 1757 and lost its American colony in 1776. French Revolution started in 1789 and continued till 1799. Voltaire (1694-1778) and Jean Jacques Rousseau (1712-78) taught individualism and inspired revolution for more freedom and equality. During the reign of Louis-XVI of France (whose wife was Maria Antoinette) there were several social inequalities among the people. The king and the nobility were enjoying all the good things of the country and the common people were deprived of their due shares. The law of the country was not equal for all classes of people. The existing social injustices prompted the great revolution known as the French Revolution, in 1789. The slogan of the revolution was "Liberty, Equality and Fraternity." The king along with his queen was overthrown by the comments people. This revolution had tremendous effect on the life and literature of the people of England. In 1764 Dr. Johnson founded his famous literary club known as Johnson's Literary Club; its members were Burke, Pitt, Fox, Gibbon, Goldsmith and many other great persons of the time. Samuel Richardson (1689-1761):Started his career as a novelist in the previous age wrote Clarissa Marlowe (1748) and Sir Charles Grandison (1754) in this period. Henry Fielding (1707-54):Started writing novels in The Augustan Age wrote his Tom Jones (1749) and Amelia (1751) in this period. Edward Gibbon (1737-94):The Decline and Fall of the Roman Empire (1776). This age marks a gradual change of taste and technique in poetry. With the death of Alexander Pope the heroic couplet declined and the ballad and lyric revived. Pindaric ode became popular. There was predominance of prose. The rise of literary and middle class, the development of industry and commerce, the rise of political parties and democracy created problems and conditions that demanded expressions for which poetry was inadequate, and therefore, prose flourished. The novel took a definite form in this period. Imitation of classicism came to an end towards the end of this period. After the French Revolution it was accepted that every individual was free and equally important. Small industries disappeared and large industries with huge capital developed. Machines were widely introduced in coal and iron mines which multiplied productions. Steam-engines were used in ships and trains. The Train was first introduced in 1830. Industrialization created lots of slums, child labour and labour problems. The traditional social pattern started changing. Ireland was united with England in 1801. In 1829 Catholic Emancipation Act was passed and religious equity was ensured. Use of machines in fields and industries made a large number of women jobless; of them many became either readers of writers. In 1840 the Penny post was introduced. "The Rime of the Ancient Mariner" (1798) and some other poems. Jane Austen (1775-1817), an anti-romantic novelist in the Romantic Age. She is called so because of her stern attitude against youthful passion. This Period is known as the second creative period of English literature, the Elizabethan Age being the first. The triumph of individualism and democracy in politics brought romanticism in literature. The literature of this age is largely poetical. It is the golden age of the lyric. The characteristic features of this period are: (1) high imagination, (2) subjectivity (3) medievalism, (4) supernaturalism, (5) revolutionary zeal, (6) primitivism or spontaneity and (7) excessive interest in Nature. This age has a number of women novelists and a number of good critics . The First Reformation Act in 1832, the Second Reformation Act in 1867 and the Third Reformation Act in 1884 gave voting rights to every male. in 1833 slaves were declared free. Chimney Sweeps Act in 1840 and Factory Act in 1833 prohibited child labour. Mechanism of railways and ships was improved which helped develop commerce and industry, and thus, brought material affluence. There was a significant progress of women during this time. Agriculture based society was disintegrated as the result of the development of industry. This had a strong effect on the rural people. The theory of evolution and the concept of communism changed the traditional view of life. The Fabian Society was founded in 1883 to avoid violence in class-struggle. G.B. Shaw was one of the members of this society. (2) Robert Browning (1812-89), famous for his dramatic monologues. (3) Matthew Arnold (1822-88), a poet and a critic, known for his meditative and melancholic attitude. Culture and Anarchy (1867) and some poems. (9)Thomas Hardy (1840-1928), a novelist and a poet. The literature of this period reflects peace, order and stability. The ideals are "compromise" and "construction". A dualism of reason and emotion, materialism and mysticism, religion and science or faith and doubt is very common in this period. Similarly a compromise between the old and the new, between freedom and restriction is also noteworthy. The literature of this period bears the influence of romanticism, and thus, there is a marked fusion of romanticism and intellectualism. Morality and prudery are at the centre of all thoughts. Towards the end of this period all these features of the Victorian Age gradually disappeared. A new movement known as the Decadence started. Its slogan was " art for art's sake". It emphasized sensationalism, egocentricity, the bizarre, the artificial, etc. in literature. Swinburne, Dowson, pater, Morris and the Rossettis are the decadents. The Victorian peace and order was no more. Unrest and violence became very common . Socialism had great influence on the English life and thought. Class feeling became dominant. The Fabian Society which was founded in 1883 now started the emancipation of land and industrial capital from individuals to class ownership in peaceful way. The movement for women's right of vote became strong. The two World Wars and their aftermath changed the traditional way of life. The Guild Socialist League was founded in 1915 which avoided all dangers of revolution. It favoured gradual change from capitalism to socialism. Bertrand Russel was one of the members of it. In the thirties and afterwards frustration and discontent engulfed life. The Rhymers' Club was formed. The members of the club concentrated on the beauty of sound and ornamentation of subject. W. B . Yeats was a member of this club for a certain time. (1) Thomas Hardy (1840-1928):known as a pessimist, wrote most of his novels in the earlier period. In this period he wrote his poems and short stories. The Modern Period is dominated by novels. The novel evolved to an art from in this period. It became realistic and dealt with social problem with a view to educating the readers. Influenced by Psychology the novelists dealt with the inner problems of the characters rather than their outer problems. Instead of simple, chronological normative technique, the "stream of consciousness" or "the use of the interior monologue" was accepted as a main weapon of the novelists. However, in the twentieth century the novel shifted its interest from realistic problems to entertaining subjects. Science fiction and thriller became more popular. Drama also realistically dealt with social problems. Ibsen's influence is significant in the drama of this Period. Intellectual exercise of the contemporary problems was so important in the drama of this period that these plays lack imagination and poetry. Poetic Drama began in this period. The Postmodern drama dealt with the absurdity of human existence and reveal the "nothingness" or "meaninglessness" of human efforts. In the poetry of this period a search for a tradition is noteworthy. The late Victorians gave way to the Georgians. Then the Imagists replaced the Georgians but after a few years they themselves disappeared. In the second decade of the 20th century there had been another movement known as dadaism. In the 1920s Dadaism was developed to surrealism. The disillusionment of the hapes for a new world following the First World War found expression in the poetry of this period. With the change of subject and outlook, the poetic technique also changed. The poets started using free verse. Symbols and conceits were used so frequently that poetry became obscure.